Located in the heart of Meridianville and just 10 miles from Downtown Huntsville, Spencer Lakes offers a scenic setting with homes starting from the upper $200’s. Large homesites, brick and stone exteriors and well-designed home plans are just a few of the reasons homebuyers have chosen to call Spencer Lakes home. Convenient to shopping and restaurants and local schools makes this community perfect for all lifestyles. Spencer Lakes is only 5.5 miles from the North Huntsville Industrial Park and Toyota Motor Manufacturing and offers easy access to Research Park. Schools are Hazel Green Elementary, Meridianville Middle School and Hazel Green High School. 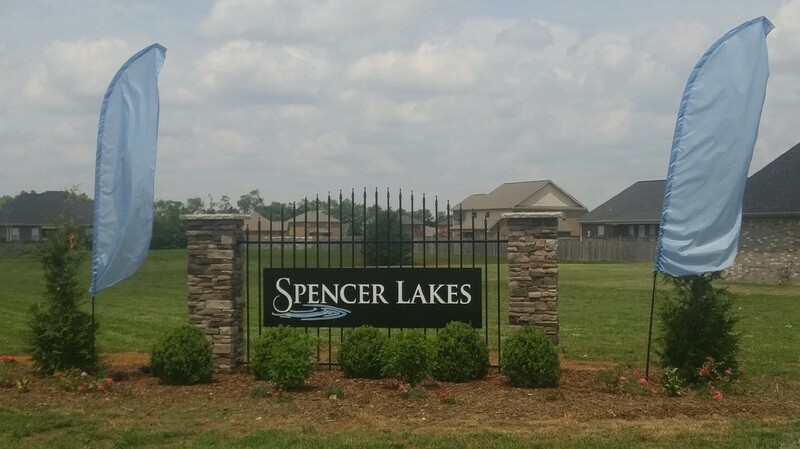 Before you choose your new home…visit Spencer Lakes!